Ladies and gentlemen, welcome to Megacity, the biggest autonomous city state in the world and the home to many giants. Explore this seemingly endless urban sprawl and its many characteristic neighbourhoods. From the Great Hall's mega shopping centers to the cosy night markets surrounding Bumbleton station Megacity has a never-ending supply of things to do, cultures to discover and people to meet. 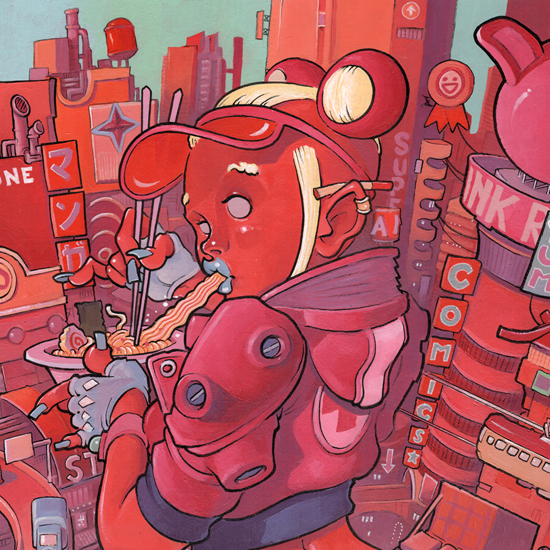 Catch a tripple decker tram to the harbour plaza for a traditional Megacity breakfast, try your luck at the golden dragon arcades and whiz back to Bankertown on a skytram for a bowl of our world famous Megacity ramen. You might even spot a glimpse of one of the many giants inhabiting our glorious metropolis. 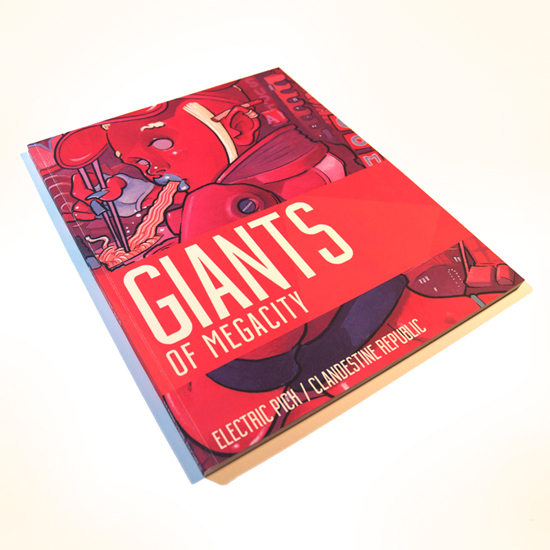 GIANTS OF MEGACITY by Electric Pick is a must-have one-of-a-kind original art book concept compiling an impressive collection of artwork, in various mediums entirely dedicated to his outlandish endless urban environments and unique inhabitants. Available in Hardcover and Softcover editions.